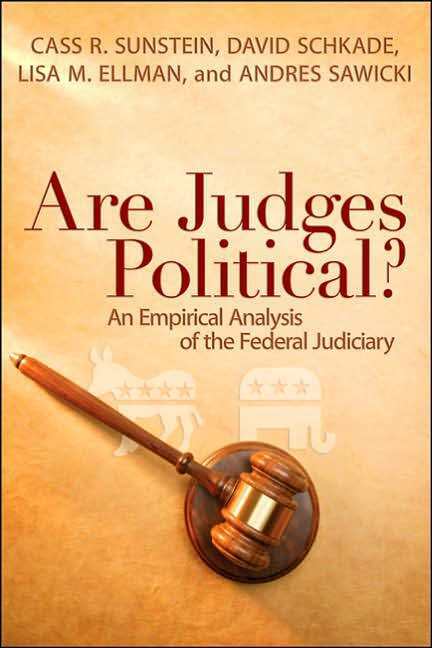 New Book - Are Judges Political? According to Amazon, the book was released on June 8th. Barnes & Noble’s website says it won’t be released until June 28th, which is probably correct. But I’m splitting the difference by posting it now. How can you not order a copy? I don’t think we have highlighted the recent publication of Judging on a Collegial Court: Influences on Federal Appellate Decision Making by Virginia Hettinger, Stefanie Lindquist, and Wendy Martinek (University of Virginia Press). I am happy to do so now. An advanced graduate student (in political economy) I'm assisting requests suggestions for especially accessible texts (or, for that matter, articles) laying out the basics of survival analysis in general and the Cox hazard model in particular (including explanations of diagnostic issues), with an emphasis on data structure requirements. My initial suggestions, evidently, were not particularly helpful. Consequently, I (or, more accurately, we) welcome suggestions from others. "A Gentle Introduction to Stata"
Adding to our discussion of useful statistical texts for students and new users, Alan Acock has written A Gentle Introduction to Stata, being sold as "an ideal book for students and for those with experience with other software packages but new to Stata." Which Supreme Court Book to Assign? The book The Supreme Court in the American Legal System (Segal/Spaeth/Benesh 2005) is reviewed by Richard Pacelle (Georgia Southern) in the recent Perspectives on Politics (Vol. 4, No. 1, Mar. 2006). While the short review recognizes that the book "is designed to be a less methodologically sophisticated analysis," the review questions the book's usefulness--"this will be a book in search of a market"--because Pacelle "suspect[s] instructors will opt for a more nuanced treatment of judicial decision making." Pacelle's hypothesis may be correct; but perhaps the book might also be filling a gap in the market. For example, to my knowledge, it is the only text on judicial process/behavior that includes a website with empirical data and commands (in SPSS) to let students replicate the analyses presented in the book. It seems that judicial politics/judicial decision-making/American legal system/Supreme Court seminars involve professors and students with a wide range of methodological interest and expertise. While the ELS Blog discussed book selection in the classroom before, no suggestions were made about what judicial behavior books should be used for different types of courses with students and professors of varying interests and training, e.g., graduate versus undergraduate students; students with versus without statistical training. (A hierarchy was successfully created for statistical software.) 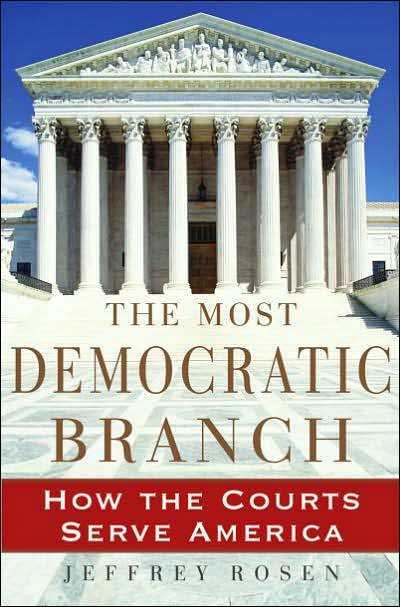 I've seen Robert McCloskey's The American Supreme Court assigned for both undergraduate non-empirical courses and law school empirical seminars on the courts, with most graduate judicial politics seminars in law and the social sciences assigning The Supreme Court and the Attitudinal Model Revisited. What is the hierarchy of foundational judicial decision-making texts in terms of methodological sophistication? Or, more specifically, what should one assign law students (or upper level undergraduates) with no previous statistics training in a judicial decision-making seminar? This week, the ELS Blog presents its first Blog Forum, the topic of which is law clerks as research subjects. This topic is particularly timely. Two major studies of law clerks are scheduled for release this April, Todd Peppers’ Courtiers of the Marble Palace: The Rise and Influence of the Supreme Court Law Clerk (Stanford) and Artemus Ward’s and David L. Weiden’s Sorcerers’ Apprentices (NYU). As Todd Peppers notes in his post, law clerks can be “tricky” research subjects. Based on my experience on a survey project with Jason Czarnezki, there are two major issues in working with former clerks. The first is that many of them now work at law firms and are extraordinarily busy. I am not sure that much can be done to deal with this issue. You can send multiple requests (which we did do). You can call (which we did not do). But nothing can make your survey billable. 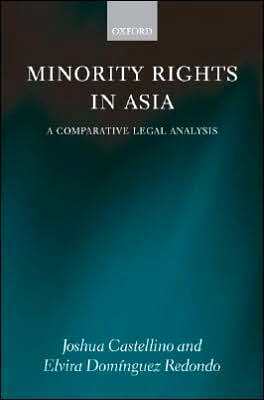 Are there any recent or emerging methodological developments in the empirical legal studies field that deserve greater attention and discussion--either because they represent innovations that you consider to be important/worthwhile or, perhaps, because they represent moves that you consider to be problematic?